Speed records are meant to be broken and Bugatti now has yet another record to its name with a Chiron breaking the record for the fastest 0-400 kph-0 run ever, in a time of just 41.96 seconds. In this time, the cover which was driven by ace Formula 1 driver Juan Pablo Montoya covered 3112 meters. It is not just the speed record achieved by the 1500 horsepower, USD 2.5 million Chiron that is impressive but its stopping power as well. The car went from 0-400 kph and back again to 0 in just 42 seconds. While the car accelerated to 400 kph in 32.6 seconds, it needed only 9.3 seconds to come to a standstill when the brakes were applied. This is the same time that a Fiat 126 needs to reach 0 from 100 mph when decelerating. The attempt to break the record was carefully supervised and conducted by the automotive technology company SGS-TÜV Saar and Montoya opted not to use protective clothing, including a helmet, during his run. Commenting on the record, Montoya said that the Chiron is a super sports car that needs full attention from the driver. At the same time, it provides motorists with a feeling of security and reliability. 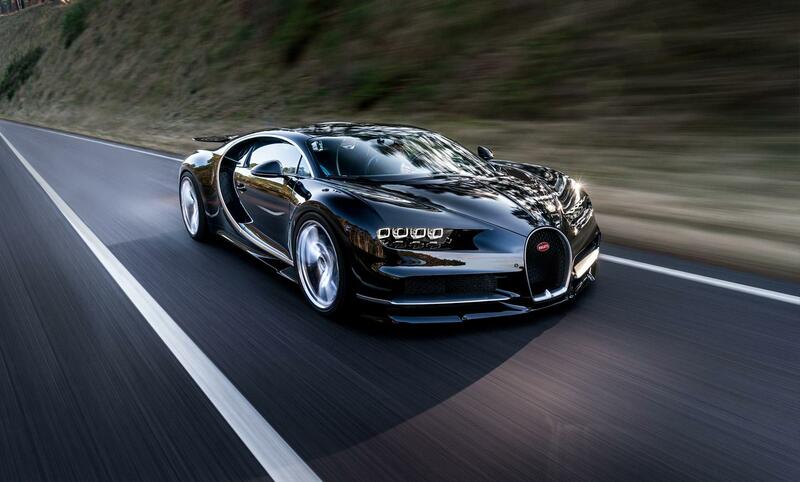 Bugatti is currently showcasing the record-breaking car at the Frankfurt motor show this week. Bugatti will display a special-edition Chiron with number 42 on its grille.